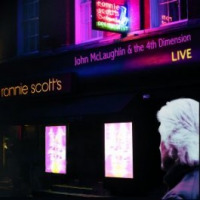 If you listen to McLaughlin's version of "My Foolish Heart" from 1978's Johnny McLaughlin - Electric Guitarist, it's hard to logically explain how the same guitarist had also produced the sounds found on so many of his earlier records. 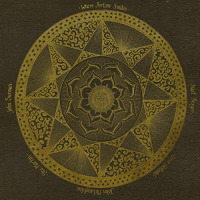 It's hard to reconcile this tune with his approach on his debut Extrapolation, Miles' Tribute to Jack Johnson, Larry Coryell's Spaces, and various recordings by the Mahavishnu Orchestra and Shakti. None of those earlier performances would have prepared you for McLaughlin's beautiful treatment of Victor Young and Nat Washington's jazz standard. 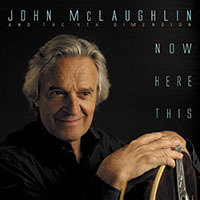 His warm and serene arrangement sounds like the antithesis of what McLaughlin was known for. 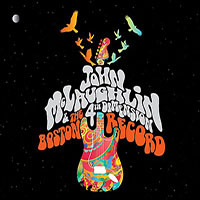 Electric Guitarist was meant to be a comeback record for McLaughlin. Columbia Records was none too pleased that McLaughlin had produced three straight records with his Indian acoustic world music group Shakti. These records would eventually reach legendary status, but at the time they sold embarrassingly poorly. There was hope at Columbia that Electric Guitarist would bring John McLaughlin back to the top of the record sales heap. In the end, although it sold well, it did not sell as many records as Columbia had hoped. 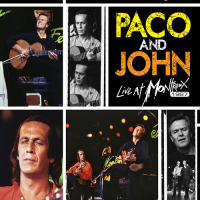 Electric Guitarist features many of McLaughlin's contemporaries, including Chick Corea, Stanley Clarke, Jack DeJohnette, Billy Cobham, Narada Michael Walden, Carlos Santana, Jerry Goodman, and David Sanborn. There is not one weak cut on the entire album. 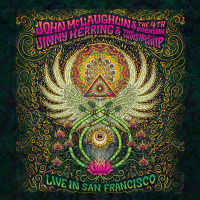 Electric Guitarist also marks the first recorded use of McLaughlin's scalloped fretboard electric guitar, an idea from his Shakti experience that gave him a brand new sound. McLaughlin was able to bend notes and even chords beyond limits. This technique opened up a whole new vocabulary for his compositions. Key cuts to play really loud include a duet with Billy Cobham, "Phenomenon-Compulsion," and "Are You the One? Are You the One?," featuring Tony Williams and Jack Bruce. This tune harkens back to the great Tony Williams Lifetime that featured McLaughlin, Bruce and the late Larry Young on organ. Even though, for obvious reasons, Young couldn't make this gig, he would have loved this tune. "Do You Hear The Voices You Left Behind," based upon the changes of Coltrane's "Giant Steps," is an unrelenting jazz force that McLaughlin, Chick Corea, Stanley Clarke and Jack DeJohnette play for all they are worth. Many all-star recordings do not live up to their promise. This album is not one of them. 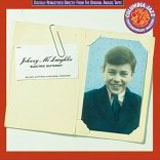 Johnny McLaughlin- Electric Guitarist was the last important recording of the initial jazz-fusion movement.